Too many men are shaving because they aren’t comfortable with their facial hair appearance or feel, but facial hair is key for how men express themselves. 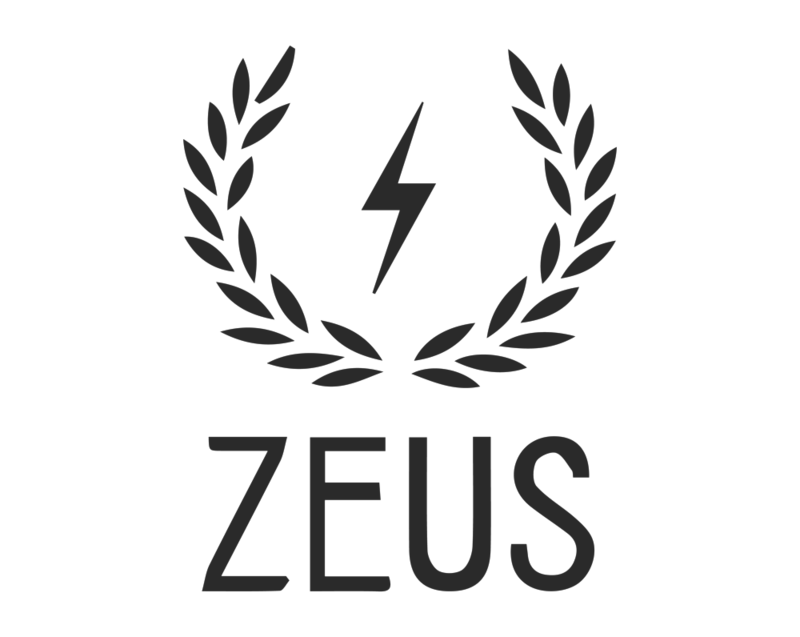 Zeus Beard Oil improves the health of facial hair and skin, allowing men to embrace new looks to complete their style. 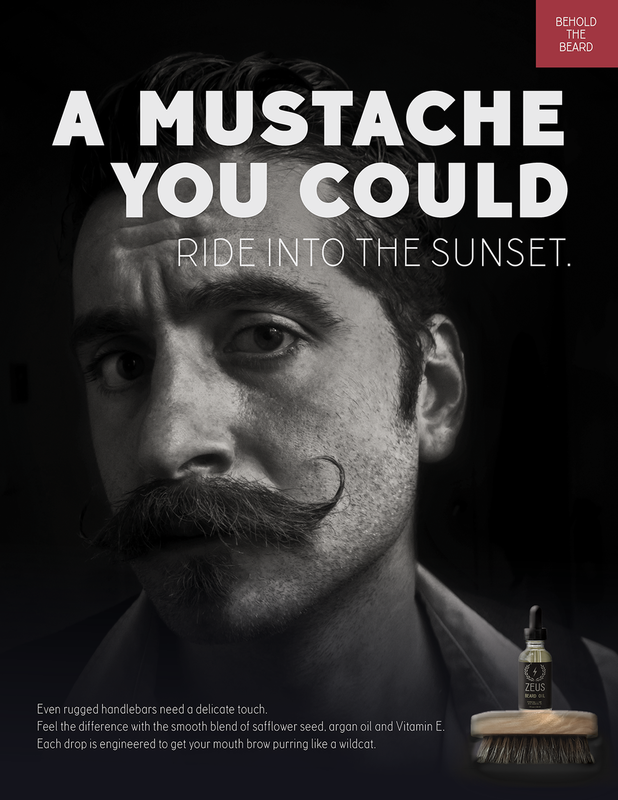 To showcase the versatility of Zeus Beard Oil, we’ll install revolving ads on mall escalators. As the stairs move, the facial hair on our model will change. 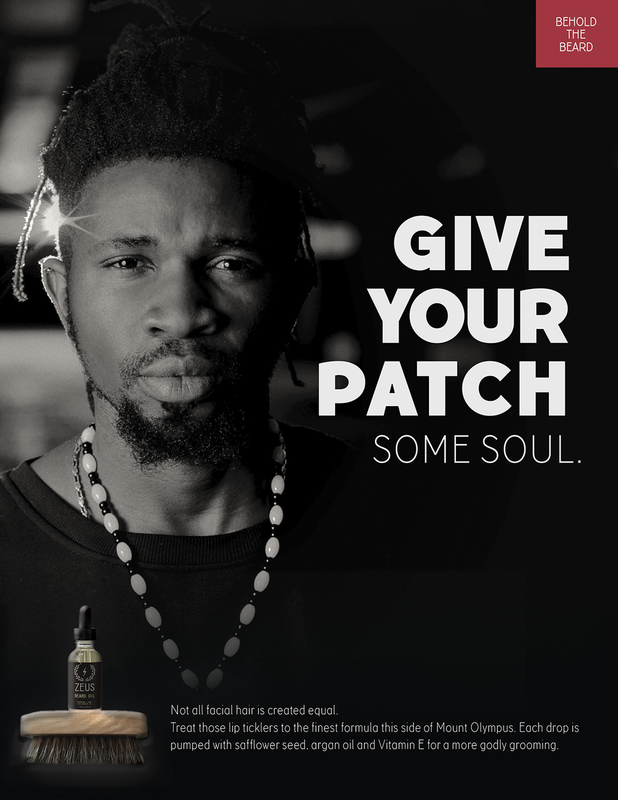 Zeus Beard Oil will release content on Instagram promoting new products, an IGTV series about style advice, and interactive polls to vote in new brand ambassadors.